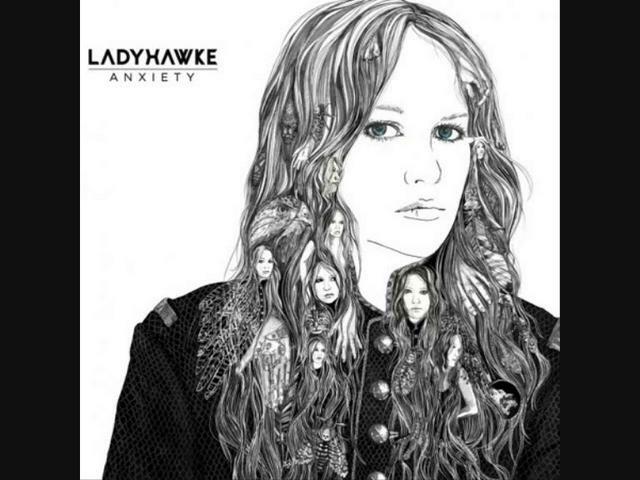 My Delerium was a huge breakthrough hit for New Zealand singer-songwriter Ladyhawke, a.k.a Philippa Brown, back in 2008. Since the release of her debut, self-titled album the same year, it's been a long wait for her sophomore effort, but in May 'Anxiety' will finally be released (pictured). Sunday Drive is actually the second single from the new album, following the disappointing Black, White & Blue. Perhaps keen to distance herself from the 80s synth movement of the late 00's (see La Roux, Little Boots et al), her new music is a more guitar-driven pop sound that still retains that 80s vibe. Pounding rhythms, clear melodies and distinct guitar riffs - it's a sound reminiscent of No Doubt's cover of Talk Talk's It's My Life. The synths aren't forgotten though, the production peppered with trancey arpeggios as Brown's breathy vocal yearns "Please don't go, I need your love". It's not quite as immediate as My Delerium, but this punchy piece of pop proves that Ladyhawke is back and on top form. Check out the video too for a twisted outlook on the title, with Brown being kidnapped in a car boot. Also check out the live acoustic video below. Listen: Sunday Drive is released on May 20th, with the album 'Anxiety' following on May 28th.